Bringing a puppy into your home for the first time is an exciting event for owners, but all the excitement needs to be balanced with the sensibility of dog training ideas. This is because many newbie pooch masters often get caught up in their dogs’ cuteness and adorable nature and forget all about their education. Many will even ignore researching the breed altogether, assuming that all dogs grow up to be trained dogs. This would, indeed, be awesome – yet it’s as far removed from reality as the assumption that all babies grow up knowing how to read or do math. Adorable as they may be, puppies need to be properly socialized, exercised, and trained from the earliest age, in order to avoid problematic behaviors later on in life. And if you’ve ever seen aggressive, territorial, dominant, or simply spoiled adult dogs, you should know what ‘problematic’ means. But worry not, our list of ten training tips will help you work toward a better behaved dog, together with your faithful companion. Cuddling with your dog and giving them belly rubs might be tons of fun, but the truth is it’s not all that useful – unless done at the right time. There’s nothing wrong with giving your dog affection, but you need to provide it as a reward, after the dog has learned something new. 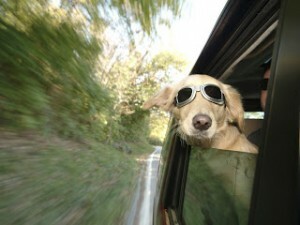 Most obedience trainers, including the famed Cesar Millan, recommend teaching the dog a new trick every now and then. Dogs are intelligent and curious by nature, which is why they love learning new stuff. Not to mention this type of activity will give them the opportunity to learn something with which to please you, their master. A lot of dogs develop the tendency to jump up and down out of excitement. If not properly addressed, the issue can become dangerous both for the dog, as well as the humans it comes into contact with. Large and overly energetic dogs can easily come to harm elderly people or small children, but they can also injure themselves. The trick to putting an end to this problem is to teach the dog a proper way to welcome you home and show you affection. Get down to their level and hug them or pet them calmly. Always sanction jumping and never allow visitors to reinforce overly-excited behaviors upon arrival. Never heard of them before? Then you definitely need to get with the program and do your research. 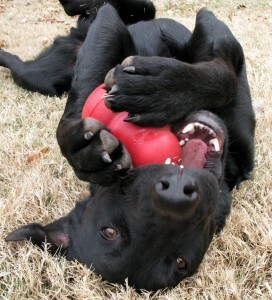 A Kong toy is essentially a ball (or any other shape of toy, for that matter), which can be filled up with kibble, biscuits, or any other type of food your dog enjoys. The trick with Kongs is that dogs will literally spend hours chasing them around the house, in order to catch them, trap them, then try to work out a way to get the snacks out of the toy. The best part about Kongs is that they can keep a dog entertained for hours. In the most literal sense of the word. To boot, they also train your dog to seek for rewards, an activity which you can then easily practice outdoors with them. Dogs enjoy being challenged and those that spend most of their days confined within the boundaries of an apartment or yard could certainly use the challenge. To boot, a dog that’s perfectly well behaved at home will occasionally act in completely uncharacteristic ways when exposed to new stimuli. That’s why the experts advise taking dogs for as many varied walks as possible. They don’t have to be long or otherwise challenging, as long as you’re exposing the puppy to new sounds, sights, and smells. Take them out on the town, the car wash, the supermarket, or a hangout session with your BFF. The dogs will revel in the change of atmosphere. Contrary to what many first time owners might think, dogs don’t just grow up ‘knowing’ the proper way to walk in a leash. Many will pull at first, resulting in a dog that’s constantly overly excited and is effectively walking its owner. 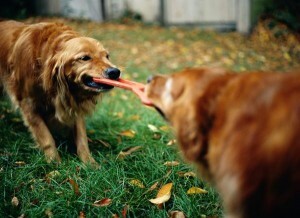 Some owners give in and allow the dog to dominate them, while others try violent measures such as tugging, pulling, or even having the dog wear choke collars. All these methods are wrong, as they are constrictive and will only determine the dog to pull harder and even become aggressive. Instead, try to correct pulling before it even happens, at the slightest sign it’s about to occur. Stop the walk if you feel a pull and use a “Chht!” sound, to make the dog pay attention to you. 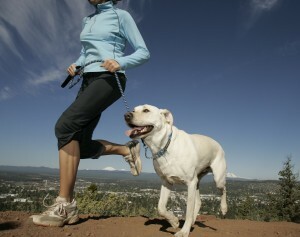 Do this every time, until the dog internalizes the fact that you are leading and controlling the walk. Some people use clickers. Others put pennies inside empty soda cans and shake them whenever necessary. Others click their tongues, while others still will snap their fingers, or whistle. 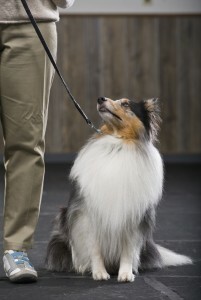 Whatever your style for dog training ideas is, the takeaway here is that dogs learn to associate that sound with a particular command, or set of commands. 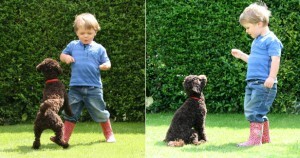 Use this sound whenever you want to teach your dog something new, be it stay, heel, or come. 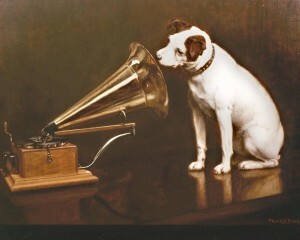 It’s a lesson as old as time, one uncovered by the famed Russian scientist Pavlov, who demonstrated the behavioral changes of his dog whenever he’d hear the doorbell ring. Though some breeds are not as keen on running as others (think pugs, Bassett Hounds, small bulldogs and just about any breed that’s short in the leg), most dogs will be thrilled with the prospect of running. Not only does running exhaust their energy in a constructive way, while also keeping the owner in shape. It also helps forge a bond between master and pet that you’d be hard-pressed to achieve in any other way. Also, it’s useful to remember that a whopping 40 per cent of all dogs are overweight. A half hour jog each day could substantially drive that number down. 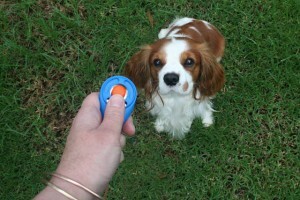 One of the best dog training ideas to try with a new dog is a ‘job’. Now, you need to remember that each breed comes from a specific family of breeds and those families were historically developed to perform certain tasks better than others. 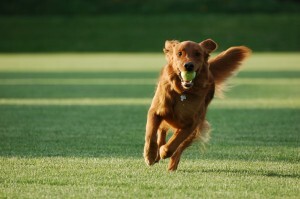 Hunting dogs, such as Spaniels, Retrievers or Setters simply love chasing ‘prey’, even if that prey is actually a ball or a Frisbee. Terriers adore digging and seeking, which is why they’re particularly great at hide-and-seek – the version in which you hide the ball for them and they go looking. Try to adapt the job to your dog’s personality as well, and you will have a well-behaved, happy puppy on your hands at the end of the day. Many dog owners complain that their dogs will turn into howling, barking, whining unnerving little creatures the second they are left alone. This, in turn, will cause the owner problems with neighbors, as well as with enjoying their own leisure time. Many dog trainers encourage crate training for puppies who cannot cope with separation from their masters. 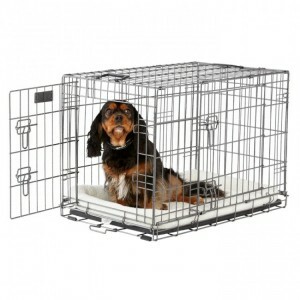 Crate training needs to be practiced together with the owners – simply leave your dog in its confined space and try to discourage negative behaviors, while rewarding positive ones. If your dog starts whining and it gets out of hand, chastise them with a firm ‘No!’ Once they calm down, even if for a few seconds, don’t forget to praise and reward them. Now tell us about yourself! Do you have a dog? Plan on buying or adopting one anytime soon? What is your favorite breed? How are you going to accommodate it? Do you mean to invest in professional obedience training services? Dog lovers of the world – unite in our comments section!